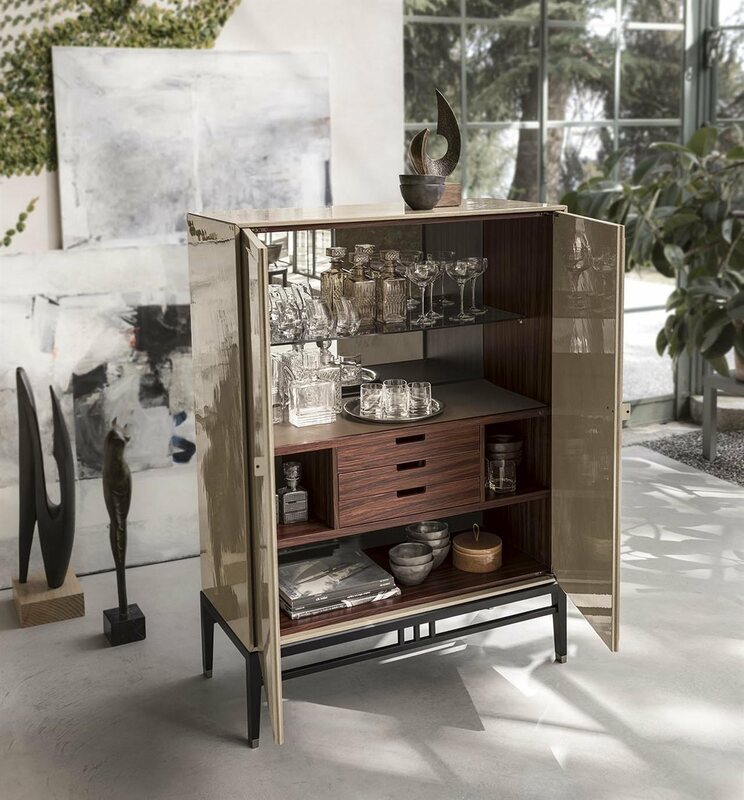 Bar sideboard with two doors and handles in titanium or champagne painted brass. 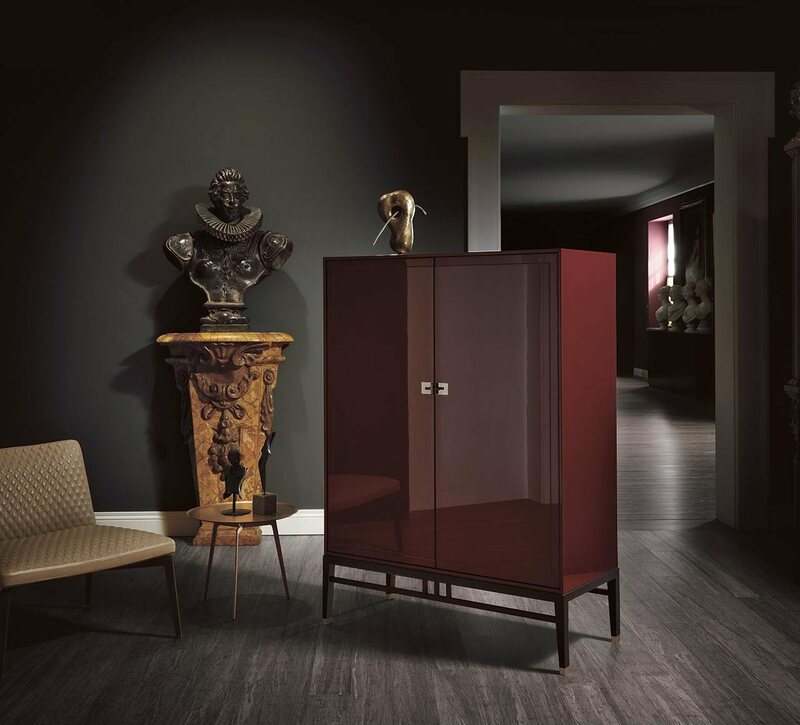 External frame in rosewood with inside compartment in matt lacquered or external frame in matt or glossy lacquered or “Terra di Galestro” glazed ceramic finishing with inside compartment in rosewood. 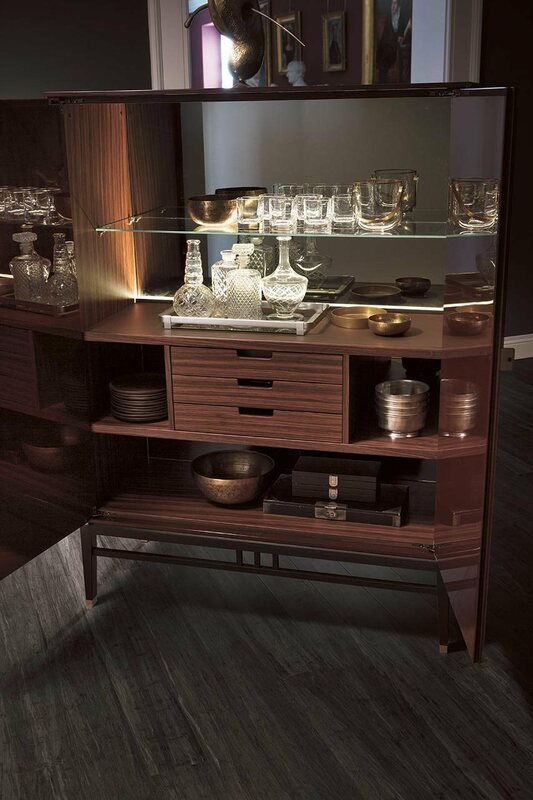 Inside compartment equipped with mirror, shelves, three drawers and Led lighting. 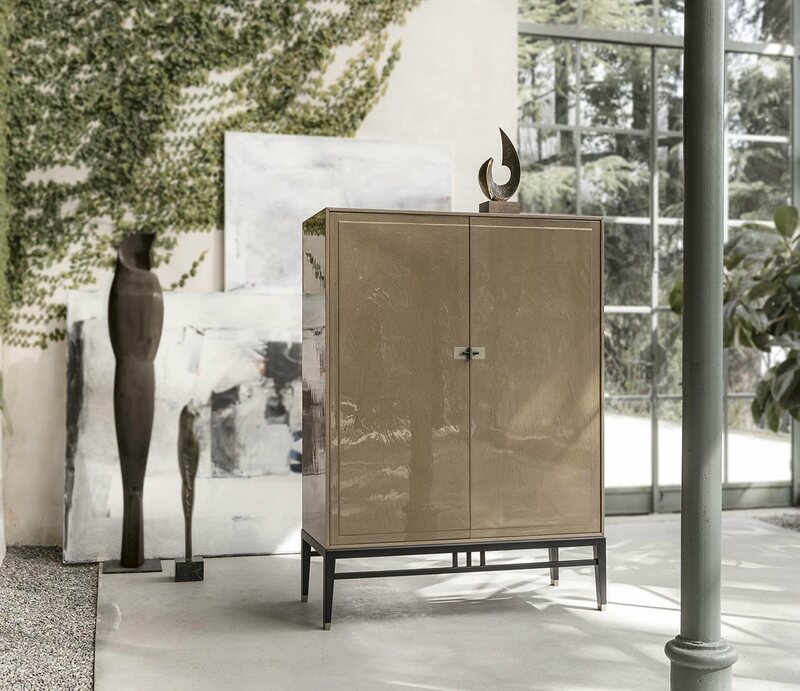 Base in painted solid oak with capsin titanium or champagne painted brass.